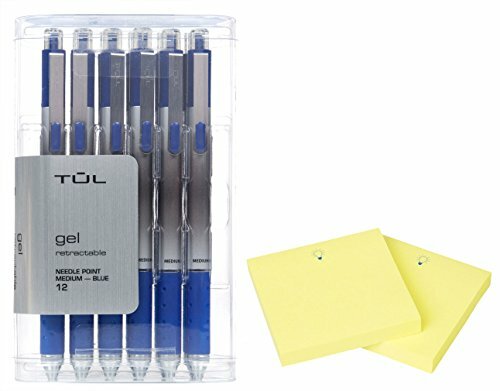 This bundle consists of one 12-pack of 0.7mm medium needle point gel pens in blue ink, plus 200 "IdeaPad" Post-it Notes. All pens are push-button retractable and include clips for convenient storage in a shirt pocket, handbag, briefcase or backpack. These high-quality gel pens receive great reviews for a reason, like "best gel pen I've ever used." Note pads are trusted 3M brand quality. Post-it Notes are wrapped in 2 pads of 100 notes each packaging. All notes contain a lightly colored "IdeaPad" image that was designed to be barely visible when written over. 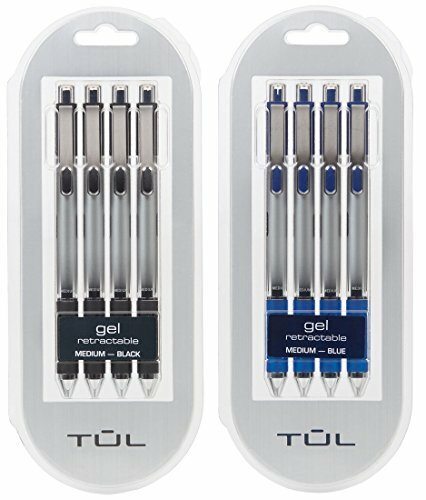 Both 4-packs of pens included in this bundle consist of 0.5mm fine needle point gel pens - one set in black ink, and the other in blue ink. All pens are push-button retractable and include clips. This means they are convenient to store in a shirt pocket, handbag, briefcase or backpack, and ink will not stain. These high-quality gel pens receive great reviews for a reason, like "best gel pen I've ever used." Also includes 2 pads of 3M brand Post-It notes (100-count each). 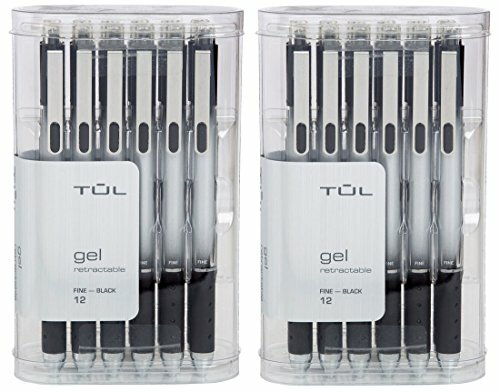 Both 12-packs of pens included in this bundle consist of 0.5mm fine point gel pens in black ink. (These pens are all FINE POINT, NOT NEEDLE POINT.) They are push-button retractable and include clips. This means they are convenient to store in a shirt pocket, handbag, briefcase or backpack, and ink will not stain. These high-quality gel pens receive great reviews for a reason, like "best gel pen I've ever used." Both 4-packs of pens included in this bundle consist of 0.7mm needle point medium gel pens - one 4-pack in black ink, and the other in blue ink. All pens are push-button retractable and include clips. These high-quality gel pens receive great reviews for a reason, like "best gel pen I've ever used." 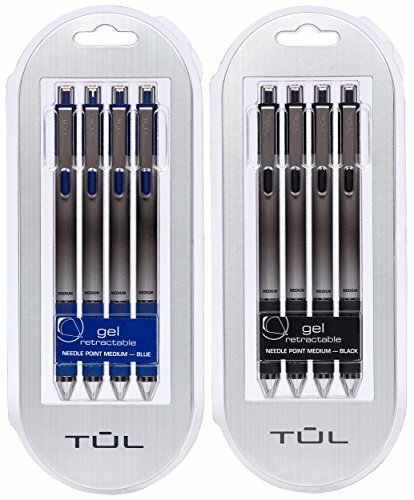 Both 12-packs of pens included in this bundle consist of 0.5mm fine point gel pens - one pack in black ink, and the other pack in blue ink. All pens are push-button retractable and include clips. This means they are convenient to store in a shirt pocket, handbag, briefcase or backpack, and ink will not stain because the tip is retractable. These high-quality gel pens receive great reviews for a reason, like "best gel pen I've ever used." 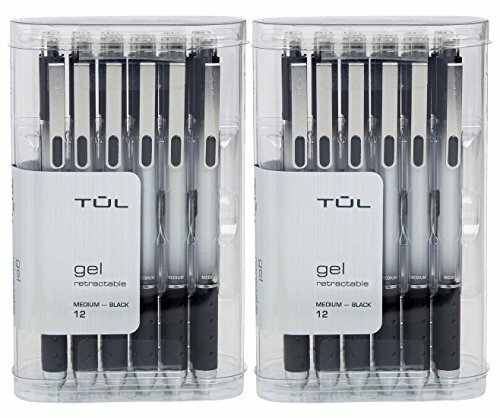 Both 12-packs of pens included in this bundle consist of 0.7mm medium point gel pens in black ink. All pens are push-button retractable and include clips. This means they are convenient to store in a shirt pocket, handbag, briefcase or backpack, and ink will not stain. These high-quality gel pens receive great reviews for a reason, like "best gel pen I've ever used." 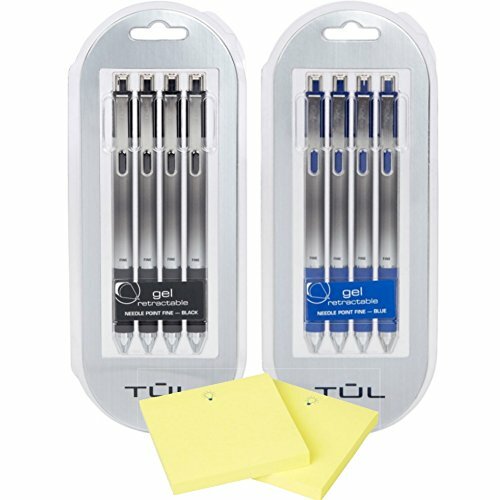 Both 4-packs of pens included in this bundle consist of 0.7mm medium point gel pens - one pack in black ink, and the other in blue ink. All pens are push-button retractable and include clips, so they are convenient to store in a shirt pocket, handbag, briefcase or backpack. These high-quality gel pens receive great reviews for a reason, like "best gel pen I've ever used." 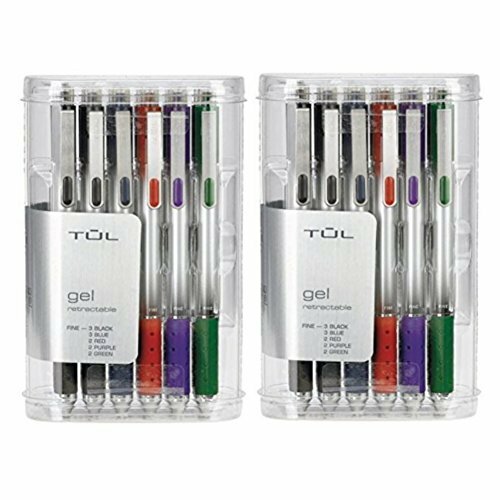 Both 4-packs of pens included in this bundle consist of 0.5mm fine needle point gel pens - one in black ink, and the other in blue ink. All pens are push-button retractable and include clips. This means they are convenient to store in a shirt pocket, handbag, briefcase or backpack, and ink will not stain. These high-quality gel pens receive great reviews for a reason, like "best gel pen I've ever used." 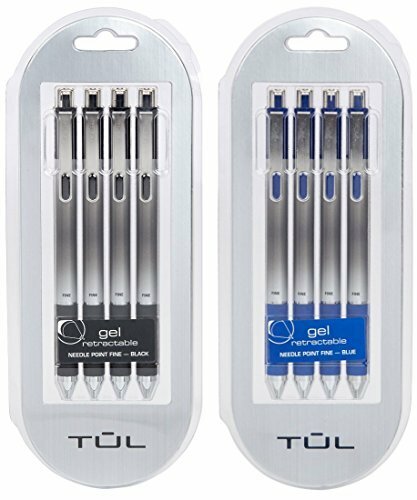 TUL gel pens write smoothly with vivid ink.